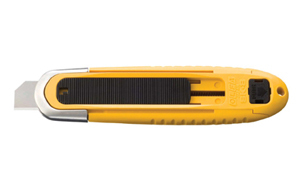 OLFA Blades SKB-8/10B Model 1077173 are dual-edge, specially designed from high-quality carbon tool steel blade for maximum performance and durability. Each blade features 2 cutting edges. 10 pack contains 20 cutting edges. Replacement blades for OLFA SK-8 knife. For cutting cartons, packages, poster board, cardboard, corrugate, boxes and more.